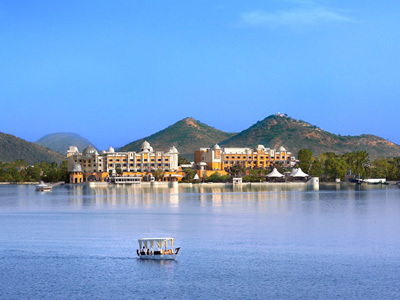 This necklace tour features the best of Rajasthan from the painted havelis of Shekhawati to the great Thar desert towns, the lake city, the pink city & the Taj Mahal. 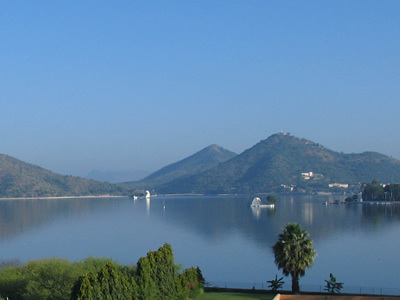 All stays in heritage palace hotels. 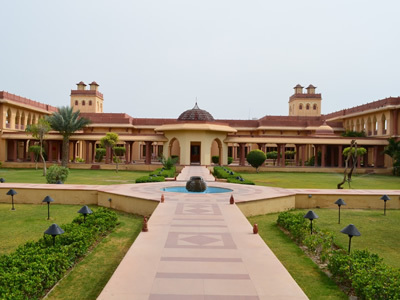 Mandawa is popularly known as 'Castle City of Rajasthan' and considered as open air art gallery of Shekawati region. Shekhawati region houses many decorated Havelis, which showcases age old Rajasthani art and architecture. 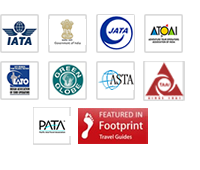 Enjoy visiting the Chokhani Haveli, Goenka Haveli, Saraf Haveli and Ladia Haveli. 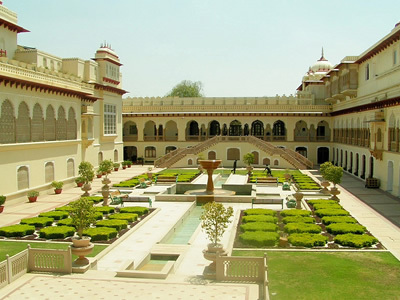 You will also visit many antique and murals that showcases the brevity of Shekhawati region. Visit Junagarh Fort-built in 1593 A.D. by Raja Rai Singh, a general in the army of Emperor Akbar, the fort is a formidable structure encircled by a moat and has some beautiful palaces within, visit Ganga Golden Jubilee Museum ,it is one of the best Rajasthan museum having the rich collections of terracotta ware, weapons, miniature paintings of Bikaner school and coins. Visit Lallgarh Palace- The architectural masterpiece in red sandstone, the palace was built by Maharaja Ganga Singh in the memory of his father Maharaja Lal Singh. Enroute visit Deshnok Temple (temple of rats) and Camel breeding farm. 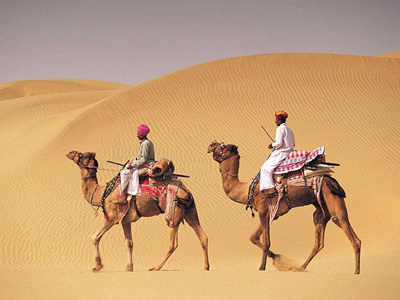 In Jaisalmer free to explore the fortress town, through narrow streets leading to Jain temples & havelis with most exquisite stone carvings in golden honey yellow stone. Day return trip to Sam - the most picturesque sand dunes of Sam. The ripples on the wind -caressed dunes, that create an enchanting mirage, are surely a delight for a trigger -happy photographer. 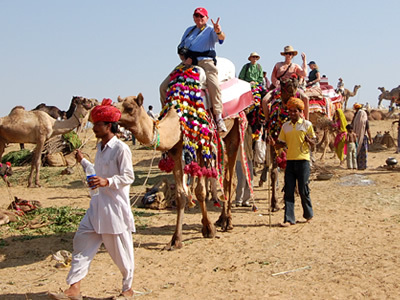 Enjoy camel rides. Day free to explore the fort & around. Drive via Ranakpur. 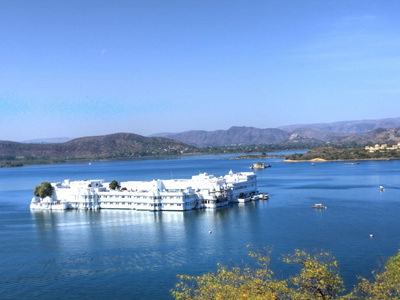 Nestled in the Aravali ranges Ranakpur is a complex of Jain temples situated in the middle of the forest, made of white marble the temple looks like a pearl displayed on green velvet. Built in the 16th Century these temples are a labour of love and devotion, the temple is perfectly symmetrical except for one pillar in the hall, which is deliberately misaligned in accordance to the Jain mythology where only god is perfect. Evening sunset boat cruise in the Lake Pichola. Day free to explore the Deogarh Palace with five floors and over 200 rooms which have murals done by local painters after whom Deogarh school of painting has acquired fame the world over. Also visit the famous school of miniature painting and some of the loveliest Deogarh miniatures adorn the personal collection of the present Rawat Sahib. You may also Pick-up and ride in Vintage Cars owned by the Royal Family. Evening free to explore local bazaar. Optional bargain shopping of Jaipur's famous Blue Pottery, textiles, jewellery and decorative items handcrafted by expert artisans. Drive to Agra via ghost city of Fatehpur Sikri. 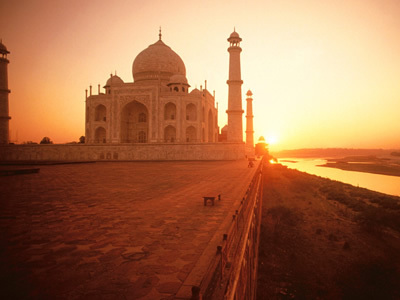 Afternoon sight seeing of Taj Mahal, Agra fort & Akbar's mausoleum. Room with breakfast + air-conditioned car with driver + English speaking/language guide for all sight seeing.